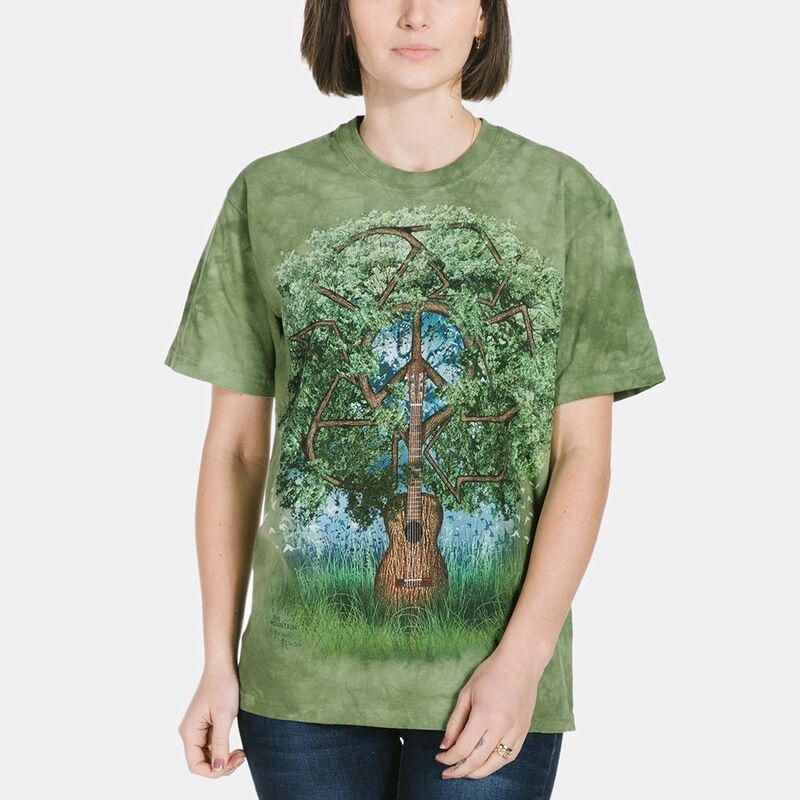 Moon Tree is a fantasy t-shirt from The Mountain® featuring the artwork of John Shannon. 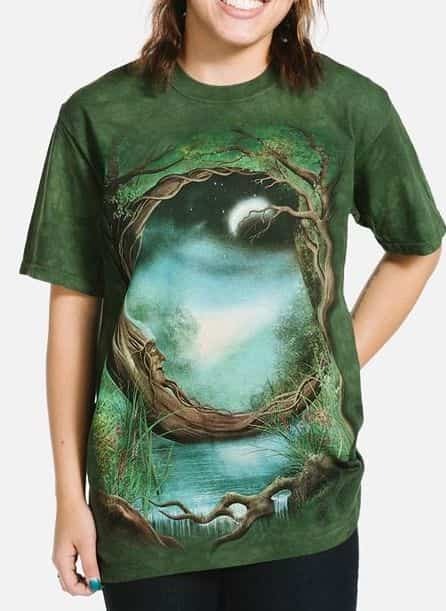 The magical image on this t-shirt is an enchanted tree in the shape of a crescent moon framing a moonlit sky. The enchanted face on the tree appears to be sleeping beneath the moonlight. 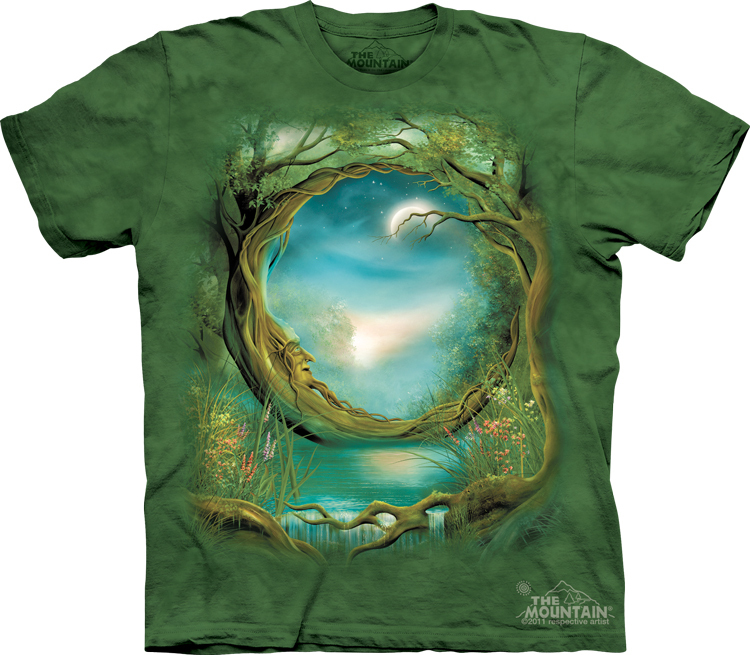 This Best Seller fantasy t-shirt is suitable for both men and women and will be a favourite of yours too! Beautiful design , fab colour , huge choice of sizes along with treat service . What more could you ask ??? Will shop again and soon.